Sylvia Fisk, 72, passed away peacefully in her home Monday, the 30th of April, 2018, after a long battle with complications that were the result of surgery to remove a large brain tumor. Sylvia was born in Boise, Idaho to Ray and Alice West in 1945. 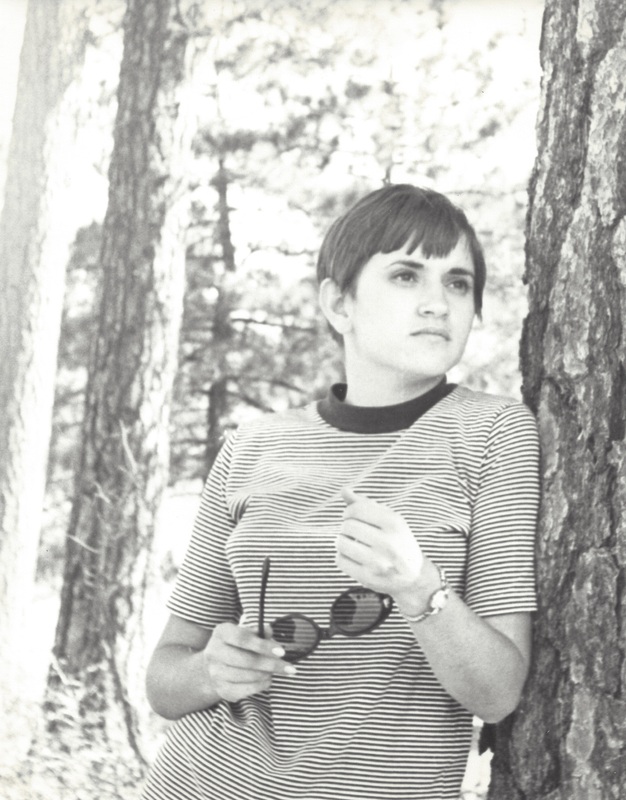 Sylvia graduated from Brigham Young University in 1968 with a degree in geology. She then moved to Riverside, California to teach science and mathematics. It was there she met the love of her life, William (Bill) Fisk. They married in 1969 and spent the rest of their lives in various cities in Southern California and Arizona. She became a registered geologist in the state of Arizona, primarily working in engineering organizations on environmental cleanup projects. Sylvia’s hobbies included exploring the western US in their RV, creating beautiful oil paintings of landscapes and portraits, and sewing numerous items making her an accomplished seamstress. Her grandchildren loved the Christmas pajamas she sewed for them each year. Sylvia also loved gardening and had an impressive green thumb; she even managed to grow irises in the Phoenix heat. Sylvia was an active member of the LDS church and enjoyed serving in various callings throughout her life, including scouting and extensive family history work. Sylvia especially enjoyed raising their four children, Dan, Laura, Craig, and Holly, as well as spending time with each of her 12 grandchildren: Rachel, Adam, Jonathan, Jacob, Micah, Victoria, James, Bryant, Luke, Noah, Isaac, and Abigail. She is also survived by her brothers, Ralph and Harold West, her husband Bill, and their children and grandchildren. Sylvia will be dearly missed and well remembered. Arrangements have been entrusted to Bunker’s University Chapel. A Memorial Service will be held at 11:00 AM, Saturday, May 5, 2018 at The Church of Jesus Christ of Latter-day Saints, 10036 E. Brown Road in Mesa. No one could have had a better, or more loving friend than Sylvia. Looking back over the last 30+ years I cannot pick a favorite time shared with her. Each moment was a memory in the making. We knew from the time we met that there was a special bond between us. She was the sister I never had, the best friend anyone could ever have, the most loyal friend I will ever have. We shared a love of so many common things. Our many trips in the RVs are wonderful memories of quiet times and adventures in the places we all ended up. There never has been, nor will there ever be, a more dearly loved person in my life than Sylvia. One day we will meet once again and be together. This is a lovely tribute. Love to the Fisk family. Dear sweet Craig, I am so sorry to hear this. Although she had a tough journey, I know that makes it no easier to lose her so early in life. She looks like a beautiful woman and she must have been a wonderful person to have raised such a fine son. I’m sure she was filled with love and pride for you. You and your family are in my thoughts! My sincere condolences for your great loss. It is never easy when we lose someone we love but it is especially painful when we lose our mother. Mother’s are so special in so many ways. Please take good care of your father. May your treasured memories bring your family joy and comfort in the months and years to come. Bill and family, so very sorry for your loss. May you find peace through the love of your family. A beautiful tribute to your dear mother. I like to think that the values and lessons that moms teach their children make moms immortal as they influence lives over generations. I feel like I know her yet we never met. We share common interests such as geology, painting, sewing, and gardening. I could use a lot of help from a successful gardener. I wish I had met her, Holly. Our condolences and prayers are with you and your family at this time. Deepest condolences for your loss. May the Lord bring you the many memories you have of her to cherish. Bill and family, so sorry for your loss. Sylvia was a great lady and she will be missed. She was taken much too soon. Bill, you have my deepest sympathy. The Corps family reaches out to you. You are in our thoughts and prayers. Bill, we are saddened for your loss of Sylvia. Our prayers and condolences are with you and your famiy. We try to take life one day at a time and make the best of the days ahead. green thumb to boot! My deep sympathy to you and your family!